OLED Stylized Clock « Adafruit Industries – Makers, hackers, artists, designers and engineers! While watching Tron for the umpteenth time, I started thinking about how data could be displayed in abstract, but still readable, ways. 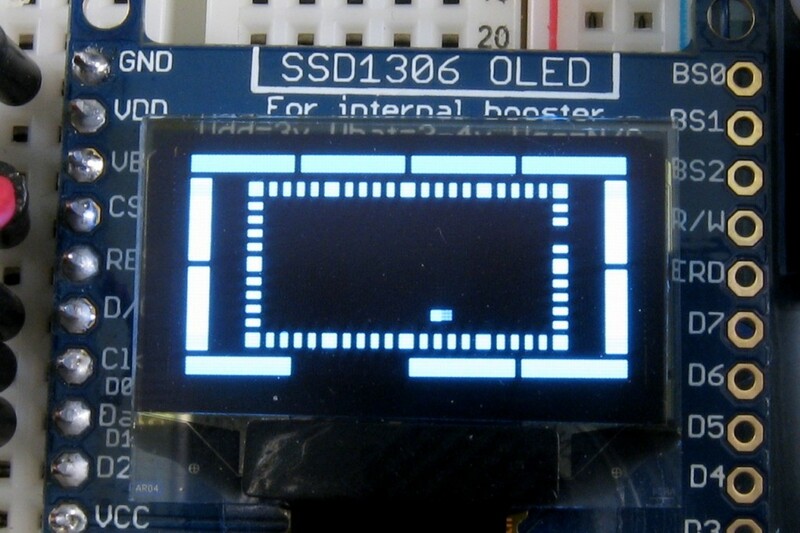 The OLED display, with its crispness, seemed like a good fit for what I had in mind. After considering a few different options, I settled on a building a stylized clock display. The blocks are drawn so that, from outside to inside, each ring represents hours, minutes, and seconds. The current hour and minute are indicated by the empty block in each ring. The current second is drawn as a solid block (this ends up looking like a square moving around the inside ring). In the above picture, the time can be read as 8:23 and about 38 seconds. 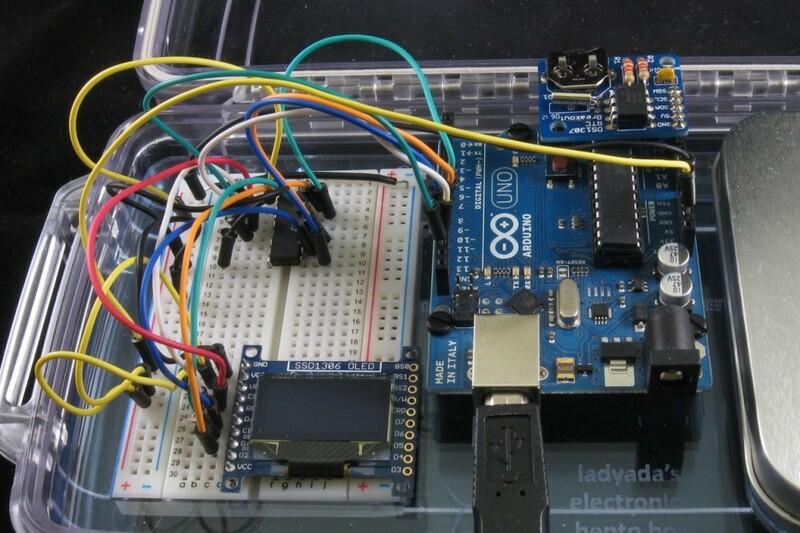 The overall circuit is set up by following the wiring in the tutorial on the monochrome 128×64 OLED and plugging the RTC breakout board directly into the Arduino as shown in the DS1307 tutorial. The full source is available on github – I’d love to see what other designs for clock displays people come up with or if someone extends this to display other types of data. Each big block represents an entire hour, and each pixel making up the blocks represents 5 minutes, so the design slowly fills up over 12 hours. Wow, that’s a really nice build! I like the design of the blocks filling up – has a very intuitive feel.